Submit Interrogatories, Miami Injury Lawyers, Florida Auto Accident Attorneys - Stokes & Gonzalez, P.A. Clients of our office may be requested to complete the Uniform Personal Injury Interrogatories during the handling of their cases. Interrogatories are written questions that must be answered under oath which are then submitted to the defendant’s attorney, and which may be used against you in court. Our office will review all submissions and contact you prior to finalizing your answers to these questions, to make sure you have properly completed them and to obtain your signature on the completed document. If you have questions about any item, you should fill the questionnaire out as best you can and contact us to schedule an appointment to review your answers. 1.State your name and address or principal place of business, date of birth and social security number. a. The original charge made against you. b. The charge of which you were convicted. c.	Did you plead guilty of the charge or were you convicted after trial? d.The court and cause number. a. Were you plaintiff or defendant? b.What was the nature of the plaintiff's claim? c.	When, where and in what court was the action commenced? d. State the names of all the parties other than yourself. 4.State exactly and in detail plaintiff's version of how this accident occurred. 5.State specifically and in detail the facts upon which plaintiff's contention is based that the accident was caused by any negligent conduct on the part of the defendant. a. The name, address and occupation of the person or organization conducting the investigation. b. The date or dates on which the investigation was conducted. c.	Whether plaintiff or anyone acting on plaintiff's behalf has interviewed or spoken with defendant or any of its agents or employees about the event in question. Yes No If so, please identify the individual spoken with and the substance of the conversation. d.The name and address of the person now having custody of any written report made concerning the investigation. a. The name and address of each person. b. The field or science in which each such person is sufficiently skilled to enable him to express opinion evidence in this action. (2)	Solely upon information as to facts provided him by others. d.If your answer to 7(c) discloses that any such witness has made a personal investigation or examination relating to any of the issues of this case, state the nature and dates of such investigation or examination. e.Each and every fact, and each and every document, item, photograph or other tangible object supplied or made available to such person. f.The general subject upon which each such person may express an opinion. g.Whether such persons have rendered written reports. (1)Give the dates of each report. (2)State the name and address of the custodian of such reports. 8.Describe in detail all injuries, whether physical, mental or emotional, experienced since the occurrence and claimed to have been caused, aggravated or otherwise contributed to by it. 9.For all injuries mentioned in the proceeding interrogatory, please identify those injuries which are considered by you to be permanent. a. The name, address and specialty of each medical practitioner. b. The date of each examination or treatment. c.	The physical, mental or emotional condition for which each examination or treatment was performed. a. The name and address of the person or organization paid or owed therefore. c.	The date of each item of expense (attach copies of the itemized bills, if desired). d.The person or organization who paid the medical expense. e.	The condition for which you incurred the expenses. f.	Will you incur medical expenses in the future as a result of the accident in question? * If so, state the amount of medical expenses which will be incurred in the future and state in detail the knowledge and source upon which you rely in support of this belief. 12.List each injury, symptom or complaint mentioned in answer to Interrogatory No. 8 from which you suffered at any time before the accident. a. The specific condition which you claim caused the loss of time. b. The amount of time lost. c.	The rate of pay or compensation regularly received from each such gainful employment. d.If you claim any damage as a result of the time lost, the total and your method of computation. a. Name and address of employment. b. Date of commencement of and date of termination. d.Nature of employment and duties performed. e.	Name and address of immediate supervisor. f.	Rate of pay or compensation received. a. The specific condition which limits your ability to engage in gainful employment. b. The economic loss caused by your inability to find gainful employment. c.	Your method of computation for computing such loss. 16. Provide the identity, location, and state the facts that support the liability, of any nonparty who you claim was wholly or partially at fault in causing any personal injury, property damage or birth injury for which damages are sought in this action. 17. Do you have liability insurance or are you aware of any other form of indemnity which you claim is applicable to this accident? a. The name of the company or companies, including any excess or umbrella carriers, which you claim provide coverage. b. The policy number or numbers of any applicable policy. c.	The limit or limits of liability of each policy. d.The named insured on each policy. e.	Whether the insurance carrier has accepted or denied coverage. f.	Whether you are being defended by the insurance carrier under a reservation of rights. 18. State the name, address and occupation of the owner of the vehicle alleged in the plaintiff's complaint to have caused damage to the plaintiff. 19. At the time of the alleged accident, was the driver of said vehicle engaged in the business of any other person or entity? Yes No If so, please state the name and address of such other person or entity. 20. State whether you, or anyone else was involved in the accident, ingested any drugs within 48 hours prior to the accident or drank any intoxicating beverages of any kind within 12 hours prior to the accident or to the occurrence of the accident alleged in the complaint. Yes No If so, state the times, places, amount and type of drugs or alcoholic beverages. 21. Do there exist any liens, including hospital, medicare, or any other liens on any recovery you may have or may obtain in this matter? Yes No If so, give the amount and entity holding such lien and the nature of said lien. b. If you were not wearing the seatbelts available for your use in the vehicle at the time of the accident, set forth your reasons for failing to do so. The Florida personal injury attorneys at Stokes & Gonzalez, P.A. 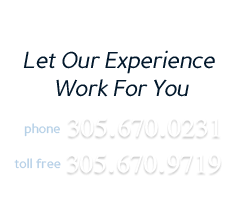 handle all types of accident injury cases in Miami and throughout the state. If you have been injured in an auto accident, maritime accident, or suffered any type of injury in Florida, contact our experienced Miami personal injury attorneys at 1-877-358-2434 today. We offer a free consultation regarding your case.